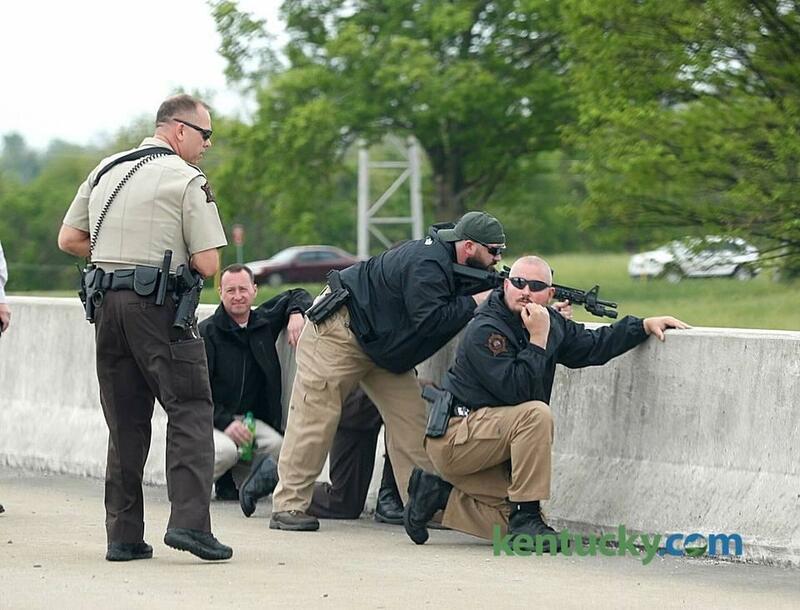 The Lexington Herald-Leader reports a police standoff with a suspect along interstate 75 near a Richmond exit ended without injury earlier this afternoon. Police shut down I-75 in both directions for a period of time when the wanted man refused to exit his vehicle. Police were attempting to arrest him at a gas station in Scott County when he took off. He was wanted on a felony warrant related to a home invasion. Officers negotiated with the man after his vehicle stopped along the interstate and he was eventually arrested just after one o clock and taken back to Scott County.